I have always been fairly boring with my brows, using the same product day in and day out, but recently there have been some amazing brow releases that have caught my attention and joined my collection. I am fairly simple when it comes to my brows - I like a pencil, mostly because it's easier for a make up novice, like myself, to manage. Though, in saying that I am starting to branch out just a little bit...to some new brow essentials. But let's just get into it! I have been a long time lover of Poni Cosmetics products, particularly their brow products. They are simple brow products that come in a variety of different shades that are super easy to use. Brow Magic was the first product I discovered from Poni Cosmetics and what inevitably began the infatuation with the brand. It is a thin pencil that comes in a universal shade. It works well for brow beginners to create precise or fluffy brows. I like to line the bottom of my brow and then go in with light 'brush strokes' to fill in my brow. It makes my brows look defined and full, but not over done. Introducing Brow Love, a soft brow Pencil. This retractable brow pencil delivers a natural, super quick pop of volume and colour to create perfect brows. Brow Love features a unique love heart tip on one end and spoolie brush at the other, perfect for soft lines and a fluffy brow finish! A newbie from Poni Cosmetics and one I was very excited about. 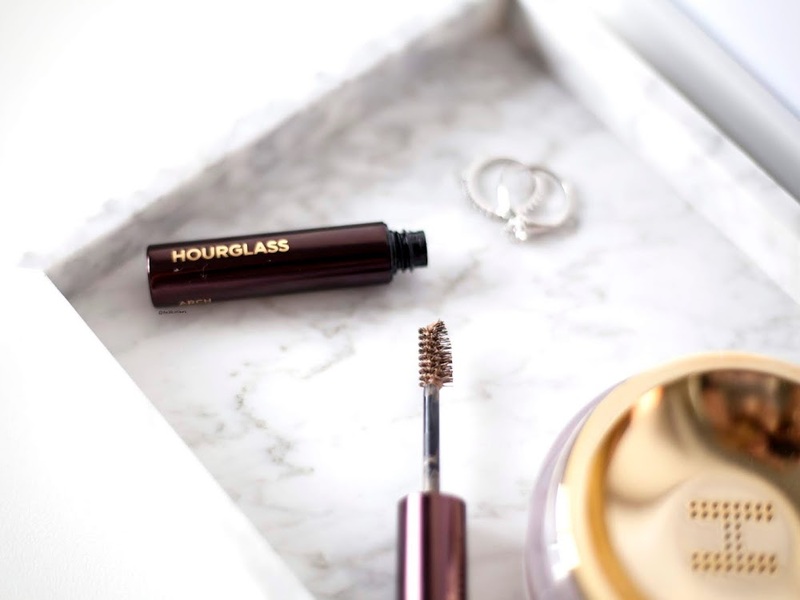 It is very similar to an Hourglass favourite that I have (which you can read about below) so I was excited to see a more affordable option from another one of my favourite brands. It has a triangular/heart shaped pencil that can give you a thin edge to line your brows or a fatter surface to easily fill them in. It is a soft brow pencil, so not as pigmented as others that I have used, but I have been loving this when I want to quickly do my brows and when I don't want to wear too much make up. It is the perfect natural brow tool. Zebra is a clear brow gel that is water resistant and will hold your brows in place all day! It has a small triangle shaped spoolie to allow the perfect amount of product on the brows. What I like to do once I have finished my brows is use a gel to 'set' and finish them. The Zebra Brow Gel has to be the best brow gel I have found for this job. Often, brow gels are either too thick or too sticky, leaving an annoying residue through your brows. The Zebra gel is lightweight and sets your brows in place, keeping them still all day, without them looking stiff or without any sticky residue. 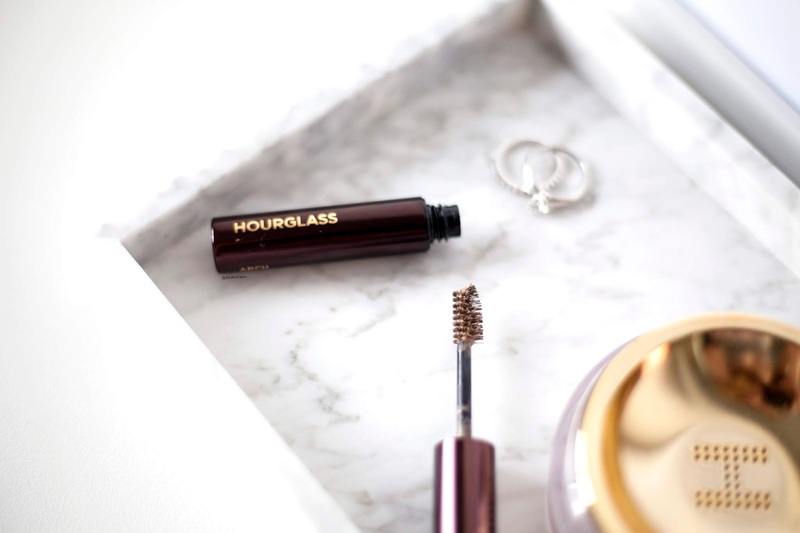 Hourglass is another favourite brand of mine, particularly when it comes to brows. Now, Hourglass is a high end brand and the prices definitely reflect that. However, their products, in my opinion, are worth every penny. An innovative brow pencil that combines the technique and benefits of a powder, pencil and wax all in one. A revolutionary powder-wax formula designed to create the look of natural, multi-dimensional, defined brows. The soft waxes allow the pigments to adhere to the hair, build volume and provide light hold. As I mentioned earlier, this is one of my favourite brow products. It has a triangular head, similar in design to the Poni Cosmetics Brow Love Pencil - a thin edge to line and a fatter edge to easily fill in the brow. It is a pigmented wax/powder formula that goes on easily and lasts all day. The wax type formula helps to keep your brows in place as well, meaning you don't need a gel or anything to go back over and set them. It is on the pricier side, but it is perfect if you're not sure where to start with your brows. I will admit, I get a bit lazy with my brows. Some days I just can't be bothered. What I do on those days is use a tinted brow gel. When I am having a 'make up free' day or going for a minimal make up look, this brow gel is perfect. It is also perfect as a 'finishing' gel, to set and brush out my brows, leaving them looking fluffy and natural rather than sharp and precise. It is a lightly tinted brow product that also contains micro fibres to help your brows look fuller and more defined. A simple swipe through your brow and they look neat, fluffy and full! Now, I have shared a high-end brand and a brand that is slightly more affordable, but now it's time for the drugstore/affordable option. Designer Brands has got to be one of my favourite, affordable make up brands. Their products are simple but so effective. They are now a certified vegan brand as well, so you know the ingredients won't be awful. A gel to powder finish brow tint that adds depth and dimension for an enhanced brow look. With a buildable formula that does not stain or smudge, this brow tint applies with a dual-density spoolie brush to coat and give texture to each individual hair - adding colour and keeping brows in place all day! I received this not long after purchasing the Hourglass Fibre Gel and I was immediately reminded of the Hourglass gel when I started using this. The brushes are exactly the same - long bristles on one side, while being smaller on the other. The main difference, of course, is that this brow gel does not contain micro fibres, it is just simply a gel. I have found that this brow gel is more pigmented than Hourglass and works in a very similar manner, which is why I made a call, not too long ago, that this was a great, affordable dupe for the Brow Fibre Gel. 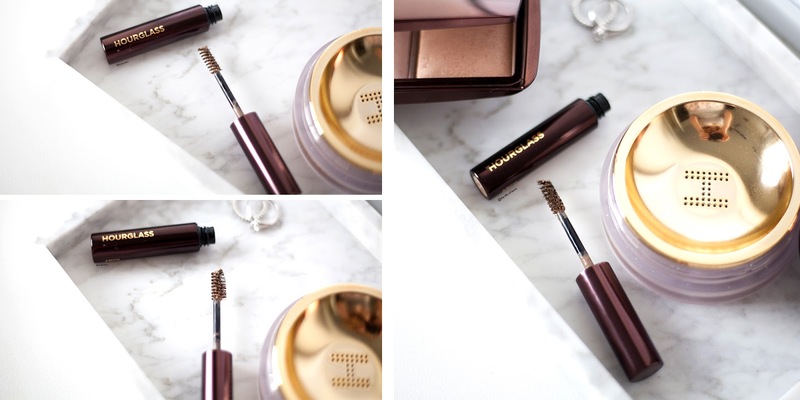 It is the perfect brow gel for those days when you can't be bothered. One swipe through to neaten your brows and leave them looking fluffy and full. While I love a natural brow look, I believe we all need a brow product that creates a full, precise brow when you are planning on wearing heavier make up. This is my go-to brow product for that look. It is a creamy/waxy formula and I use a liner brush to apply it, starting by defining my brows before using smaller brushes strokes to fill it in. I have been really impressed with how well this product works. It is pigmented and glides on easily. While it is a little more effort than the other products on my list, it is worth the time to leave your brows looking fuller and more defined. So there it is, my go-to brow products! I'd love to know what you go-to products are. Let me know in the comments what brow products you cannot live without!